Russian authorities have blamed a group of girls for "not behaving appropriately" after their attempts to take selfies apparently led to valuable artworks being damaged. A wall displaying paintings by Dali and Goya was knocked over at the International Arts Centre in Yekaterinburg. 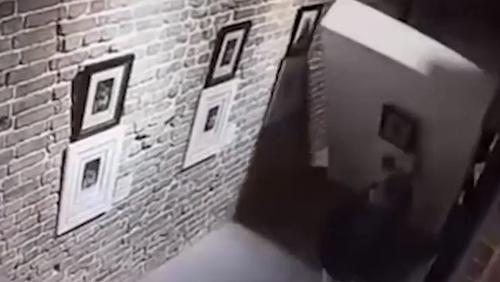 Authorities believe one of a group of teenage girls taking selfies with the paintings knocked the wall over as she was trying to take a picture with the display in the background. According to the museum, the frame and glass on the work by Goya were broken, while the picture by Dali was "destroyed". Neither the titles nor the market value of the artwork were made public. A police investigation has been launched, but no arrests have been reported.